Snorkel amongst beautiful limestone karsts, hike up to temples and sublime sunset spots, and dance all night. You know that the travel cliches are the best. Sipping cocktails on a beach feels awesome and somersaulting off boats into clear water never gets old. 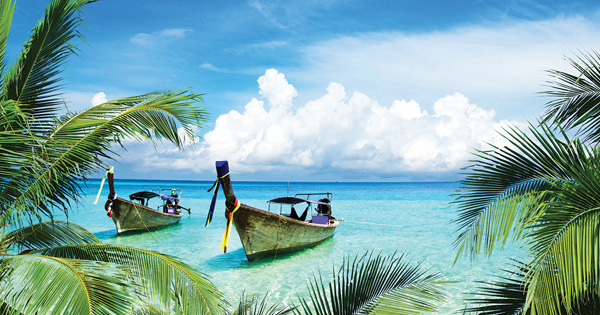 Nowhere in the world does classic tropical island moments better than the Thai Islands. Go on epic snorkelling adventures amongst beautiful limestone karsts, hike up to temples and sublime sunset spots, and dance amongst the fire throwers at all-night parties. Get ready to indulge in the stereotypical dreams of every traveller on this trip.